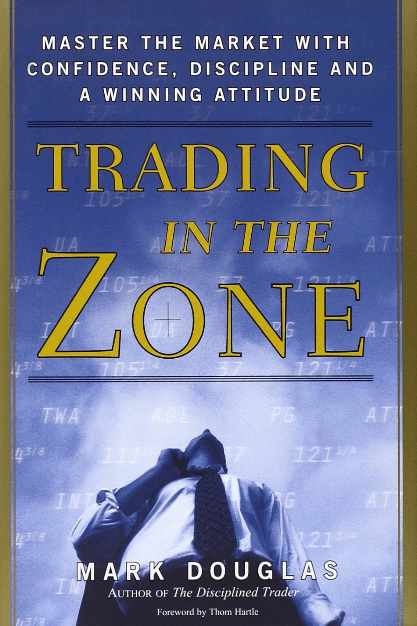 In 2000 Mark Douglas wrote the book Trading in the Zone. It is considered a classic in books on trading psychology, next to books written by authors such as Alexander Elder such as Trading for a Living. Mark Douglas died last year September at the age of 67 and leaves behind his books that helped and still help many traders with the mental game of trading. While Mark is praised by many, some do not give him a positive review. The criticism is mostly related to the repetitive nature of his writing. Mark needs a lot of words and repeats himself over and over again to make his point clear. If this doesn’t bother you, then his message is certainly worth the read. The author describes in his book Trading in the Zone why he believes trading successfully is such a completely other ball-game than doing well in, for example, business. Why is it that the majority of whom are so successful in business and other occupations, fail so miserably as traders? According to Douglas, the skills we are taught when we were young and in school and that carry us through life, turn out to be completely inappropriate for trading. The trading process differs and thus traders have to surrender all of the skills they acquired to achieve success in about all other areas of life to become successful and consistent traders. He comes to the conclusion that the determining factor is psychological – consistent winners think differently from everyone else. Trading in the Zone is the book that explains the difference in the thinking of successful traders versus most other traders. 90-95% of the traders can’t make consistent profits. Rest assured, being consistent and a successful trader seems to be something that can be mastered. Mark tells us how. Mark Douglas worked as a consultant on a personal level with virtually every type of trader in the business, including some of the biggest floor traders, hedgers and option specialists. At its most fundamental level, Mark believes that there is something inherent in the way our minds work that does not fit very well with the characteristics shown by the market. Most traders don’t believe that their trading problems are the result of the way they think about trading or, more specifically, how they are thinking while they are trading. It might, in their view, be their lack of good (enough) analysis of the market or it might be the current market conditions, which are the reason for the losses. Mark tells us that this is most likely not the case. Good fundamental analysis of the market conditions can help, but it is not the differentiating factor. It is a ‘mental state’ or ‘zone’ in which the successful trader is while trading that makes him a winner. To address the many conflicts, paradoxes and contradictions in the thinking of traders that causes them to think they are already thinking the right way while they are not. At some point in time and definitely sooner or later, some form of fear will build up when you have lost several trades in a row. It might take a few more loosing trades to get there, but at one point you will wander what happened and fear will appear at your doorstep. You might want to make up for the losses of the previous trades by taking a larger risk on the next opportunity or you might start to do more thorough analysis of the market sentiment in your effort to better estimate the next opportunity. On the other hand, at some point in time you become overconfident once you win one trade after the other. It might be after a few successes or it might take some more successful trades in a row, but eventually you do become overconfident based on your successes thus far. You might increase your order size as a result or take on more risk on your next opportunity. You seem to be confident in the direction the market is going next. After all, you were right so far. Why would the market not behave the same again. It is simple human nature to become overconfident if the successes stack up one after the other for some time. Mark discusses in detail how to conquer our natural tendencies and how to develop a winning attitude. The author has his own view on the role of fundamental and relational analysis versus a technical approach to the market. Fundamental analysis, according to Mark Douglas, can help, but the prediction about where prices should be at some point in the future could be correct, while in the meantime, price movement could be so volatile that it would be very difficult, if not impossible, to stay in the trade in order to realize your objective. On the other hand, as a method for projecting future price movement, technical analysis has turned out to be in a way superior to a purely fundamental approach. It keeps the trader focused on what the market is doing now in relation to what it has done in the past, instead of focusing on what the market should be doing based solely on what is logical and reasonable. According to the author, fundamental analysis creates what he calls a “reality gap” between “what should be” and “what is”. The reality gap makes it extremely difficult to make anything but very long-term predictions that can be difficult to exploit, even if they are correct. On the other hand, technical analysis not only closes this reality gap, but also makes available to the trader a virtually unlimited number of possibilities to take advantage of. The technical approach opens up many more possibilities because it identifies how the same repeatable behavior patterns occur in every time frame. Technical analysis turns the market into an endless stream of opportunities to enrich oneself. Every trader knows that when he opens a position, he is running a risk. The outcome of his trade is simply not for 100% sure. However, that does not mean that every trader accepts that risk. Most likely not! The best traders, however, not only take the risk but have also learned to accept and embrace that risk. It doesn’t matter to them anymore if they loose that specific trade or not. There seems to be a huge psychological gap between assuming you are a risk-taker because you put on trades and fully accepting the risks inherent in each trade. When you fully accept the risks, it will have profound implications on your bottom-line performance. The best traders put on their trades without the slightest bit of hesitation of internal conflict. They just as freely admit it isn’t working. They can get out of a trade, even at a loss, and doing so doesn’t resonate the slightest bit of emotional discomfort. According to Douglas, if you cannot trade without the slightest bit of discomfort and fear about loosing, then you have not learned how to accept the risks inherent in trading. This is a big problem according to Douglas, because to whatever degree you haven’t accepted the risk, is the same degree to which you will avoid the risk. You are then trying to avoid something that is unavoidable and that will as such have a disastrous effect on your ability to trade successfully. You have to learn to accept the risk. That is probably one of the most important skills to learn. Many of the thinking patterns that adversely affect our trading are a function of the natural ways in which we were brought up to think and see the world. These thinking patterns are so deeply ingrained that it rarely occurs to us that the source of our trading difficulties is internal, derived from our state of mind. This means that no matter how much you learn about the market’s behaviour, no matter how brilliant an analyst you become, you will never learn enough to anticipate every possible way that the market can make you wrong and cause you to loose money. So if you are afraid of being wrong or losing money, it means you will never learn enough to compensate for the negative effects these fears will have on your ability to be objective and your ability to act without hesitation. In other words, you won’t be confident in the face of constant uncertainty. The hard, cold reality of trading is that every trade has an uncertain outcome. Unless you learn to completely accept the possibility of an uncertain outcome, you will try either consciously or unconsciously to avoid any possibility you define as painful. The author is not suggesting that we as traders don’t need some form of market analysis or methodology to define opportunities. We do! We all have our own “edge”. However, market analysis or our own specific “edge” to find opportunities is not the path to consistent results. When you operate from the assumption that more or better analysis will create consistency, you will be driven to gather as many market variables as possible into your arsenal of trading tools. But what happens next? You are still disappointed and betrayed by the markets, time and again, because of something you didn’t see or give enough consideration to. It will feel like you can’t trust the markets, but the reality is, you can’t trust yourself. According to Douglas, the traders that are having consistent profits are not by definition those with the best analytical skills of the market or the best “edge”. It seems to not be related that much to market analysis skills. Success comes from the right mindset and being in “the zone” as he calls it. According to Douglas you have two choices: (1) you can try to eliminate risk by learning about as many market variables as possible (which he calls the black hole of analysis, because it is the path of ultimate frustration), or (2) you can learn how to redefine your trading activities in such a way that you truly accept the risk, and you are no longer afraid. The irony is that, when you have the appropriate attitude when you have acquired this “trader’s mindset” and can remain confident in the face of constant uncertainty, trading will be as easy and simple as you probably thought it was when you first started out. You will need to learn how to adjust your attitudes and beliefs about trading in such a way that you can trade without the slightest bit of fear, but at the same time keep a framework in place that does not allow you to become reckless. That is exactly what this book is about to teach you. You should not care about the results of each individual trade at all. If you loose, fine. No issue at all. At the same time, you should not become overconfident and take on more risk than appropriate. Trading attracts many of us as it gives us freedom. But it offers a gift (freedom to trade) and a curse at the same time. The gift is that we are in complete control of everything we do. 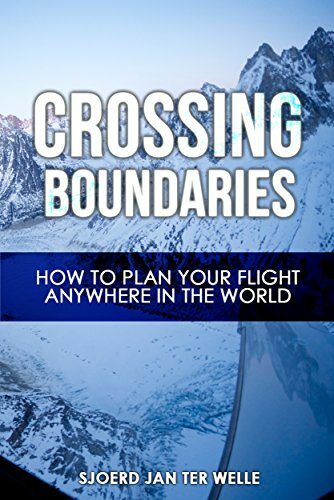 The curse is that there are no external rules or boundaries to guide or structure our behavior. The unlimited characteristics of the trading environment require that we act with some degree of restraint and self-control, at least if we want to create some measure of consistent success. The structure we need to guide our behavior has to originate in our mind, as a conscious act of free will. This is where the problems begin. Mark describes how he has yet to encounter a person interested in trading who did not resist the notion of creating a set of rules. The resistance isn’t always overt. We agree on the one hand that rules make sense, but we really have no intention of doing whatever is being suggested. This resistance can be intense. Most of the structure in our minds was given to us as a result of our social upbringing and based on choices made by other people. Many denied impulses were never reconciled and still exist inside of us as frustration, anger, guilt, disappointment or even hatred. The accumulation of these negative feelings act as a force inside us to resist anything that denies us the freedom to do and be whatever we want, when we want. In other words, the very reason we are attracted to trading in the first place – the unlimited freedom of creative expression – is the same reason we feel a natural resistance to creating the kinds of rules and boundaries that can appropriately guide our behavior. So to state it again. Eliminating fear is only half the equation. The other half is the need to develop restraint. For a trader, winning is extremely dangerous if you haven’t learned to monitor and control yourself. The tendency to become reckless, when you’re feeling good, is what causes most losses. Attitude produces better overall results than analysis or technique. If we start from the premise that to create consistency traders must focus their efforts on developing a trader’s mind-set, then it is easy to see why so many traders don’t succeed. Instead of learning to think like traders, they think about how they can make more money by learning about the markets. It’s almost impossible not to fall into this trap. What if the trader is operating out of a belief that there’s no possible way to avoid a loss, because losing is a natural consequence of trading – no different from, let’s say, a restaurant owner incurring the expense of having to buy food? Furthermore, suppose that he has completely accepted the risk, meaning that he has considered and accounted for all of what would otherwise be the unacceptable possibilities in the market’s behavior, both financially and emotionally. It is unlikely that he would experience a deterioration of his attitude, and would simply go to the next trade. According to Mark, this is an example of an ideal set of trading beliefs and attitudes. Only the very best traders have acquired the perspective described here. It is a fundamental shift in attitude that accounts for their success, not some brilliant realization about the market, as most people erroneously assume. The bottom line is that, as adults when we get into a trading mode, we don’t realize how natural it is to associate the instantaneous shift from joy to pain that we experienced so often as children, with the same instantaneous shift from joy to pain that occurs when we trade. The implications are that if we haven’t learned to accept the inherent risks of trading and don’t know how to guard against making these natural connections between our past and the present, we will end up blaming the market for our results instead of taking responsibility for them. Even though most people that trade consider themselves responsible adults, only the very best traders have reached a point where they can and do accept complete responsibility for the outcome of any particular trade. The point Mark Douglas makes is this: if you have ever found yourself blaming the market or feeling betrayed, then you have not given enough consideration to the implications of what it means to play a zero-sum game. Any degree of blaming means that you have not fully accepted the reality that the market owes you nothing, regardless of what you want or think or how much effort you put into trading. The market’s purpose is to separate you from your money; but in the process of doing so, it also provides you with an endless stream of opportunities for you to take money from it. So, taking responsibility means believing that all of your outcomes are self-generated; that your results are based on your interpretations of market information, the decisions you make and the actions you take as a result. Taking anything less than complete responsibility sets up two major psychological obstacles that will block your success. First, you will establish an adversarial relationship with the market that takes you out of the constant flow of opportunities. Second, you will mislead yourself into believing that your trading problems and lack of success can be rectified through market analysis. The market is full of opportunities. You are not fighting the market but fighting you. Developing a winning attitude is the key to your success. Certainly one could argue that some traders lose because they don’t understand enough about the market and therefore they usually pick the wrong trades. As reasonable as this may sound, it has been the experience of Mark that traders with losing attitudes pick the wrong trades regardless of how much they know about the markets. In any case, the results are the same – they lose. On the other hand, traders with winning attitudes who know virtually nothing about the markets can pick winners, and if they know a lot about the markets, they can pick even more winners. As Mark Douglas says many times over in his book, what separates the best traders from everyone else is not what they do or when they do it, but rather how they think about what they do and how they’re thinking when they do it. If your goal is to trade like a pro and be a consistent winner, then you must start from the premise that the solutions are in your mind and not in the market. Winning and consistency are states of mind in the same way that happiness, having fun, and satisfaction are states of mind. The best traders stay in the flow because they don’t try to get anything from the market; they simply make themselves available so they can take advantage of whatever the market is offering at any given moment. How do I get into such a mental state? Learn to really accept the risk of trading which means to accept the consequences of all your trades without emotional discomfort or fear. If you can learn to create a state of mind that is not affected by the market’s behavior, the struggle will cease to exist. Mark Douglas worked with hundreds of traders who mistakenly assumed they thought in probabilities, but didn’t. A prerequisite for thinking in probabilities is that you accept the risk. When you’ve trained your mind to think in probabilities, it means that you have for 100% accepted all the possible outcomes of every trade you do and with no internal resistance or conflict. Thinking this way is virtually impossible unless you’ve done the mental work necessary to “let go” of the need to know what is going to happen next or the need to be right on (almost) every trade. In fact, according to Douglas, the degree by which you think you know, assume you know, or in any way need to know what is going to happen next, is equal to the degree to which you will fail as a trader. Traders who have learned to think in probabilities are confident in their overall success (their ‘edge’), because they commit themselves to taking every trade that conforms to their definition of an edge. They have stopped trying to predict outcomes. They have found that by taking every edge, they correspondingly increase their sample size of trades, which in turn gives whatever edge they use ample opportunity to play itself out in their favor. Why do you think unsuccessful traders are obsessed with market analysis? They crave the sense of certainty that analysis appears to give them. Although few would admit it, the truth is that the typical trader wants to be right on every single trade. He is desperately trying to create certainty where it just simply does not exist. The irony is that if he completely accepted the fact that certainty doesn’t exist, he would create the certainty he craves: He would be absolutely certain that certainty doesn’t exist. When you achieve complete acceptance of the uncertainty of each edge and the uniqueness of each moment, your frustration with trading will end. Not defining the risk before getting into a trade is by far the most common of all trading errors, and starts the whole process of trading from an inappropriate perspective. In the light of the fact that anything can happen, wouldn’t it make sense to decide beforehand and thus before executing a trade what the market has to look, sound, or feel like to tell you your edge isn’t working? So why doesn’t the typical trader decide to do it or do it every single time? The typical trader won’t predefine the risk of each trade before getting into a trade, because he simply does not believe it is necessary. He believes “it isn’t necessary” because he believes he knows what is going to happen next. The reason he believes he knows what is going to happen next is because he won’t get into a trade until he is convinced that he is right. At the point where he is convinced the trade will be a winner, it is no longer necessary to define a risk. He is right, so there is no risk. Typical traders go through the exercise of convincing themselves that they are right before they get into a trade, because the alternative (being wrong) is simply unacceptable to them. They just don’t like being wrong. Mark Douglas reminds us that our minds are wired to associate. As a result, being wrong on any given trade has the potential to be associated with any (or every) other experience in a trader’s life where he has been wrong. The implication is that any trade can this way tap the trader into the accumulated pain of every time he has been wrong in his life. For traders that have learned to think in probabilities, there is no such dilemma. Predefining the risk doesn’t pose a problem at all for these traders because they don’t trade from a perspective that they are most likely right or wrong. They have learned that trading doesn’t have anything to do with being right or wrong on each individual trade. As a result, they don’t perceive the risks of trading in the same way the typical trader does. When you accept in advance of an event, that you don’t know how it will turn out, that acceptance has the effect of keeping your expectations neutral and open-ended. Now, according to Douglas, we are getting down to the very core of what ails the typical trader. Any expectation about the market’s behavior that is specific, well-defined, or rigid – instead of being neutral and open-ended – is unrealistic and potentially damaging. Here is where we run into problems. Because our expectations come from what we know, when we decide or believe we know something, we naturally expect to be right. At that point, we are no longer in a neutral or open state of mind, and it is not difficult to understand why. Our pain-avoidance mechanisms will shield us from information that doesn’t confirm what we expect (to keep us from feeling bad). Our minds are simply designed to help us avoid pain, both physical and emotional. These pain-avoidance mechanisms exist at both conscious and subconscious levels. To avoid pain, we narrow our focus of attention and concentrate on information that keeps us out of pain. In the meantime, the information that clearly indicates the presence of a trend and opportunity to trade in the direction of that trend becomes invisible. The trend doesn’t disappear from physical reality, but our ability to perceive it does. So, our pain-avoidance mechanisms block our ability to define and interpret what the market is doing as a trend or which opportunities it presents to us. Only when we are out of the trade, we can see the market in clarity again. How to Eliminate the Emotional Risk? To eliminate the emotional risk of trading, you have to neutralise your expectations about what the market will or will not do at any given moment or in any given situation. You can do this by being willing to think from the market’s perspective. Remember, the market is always communicating in probabilities. To think in probabilities, you have to create a mental framework or mind-set that is consistent with the underlying principles of a probabilistic environment. Expecting a random outcome doesn’t mean that you can’t use your full reasoning and analytical abilities to project an outcome, or that you can’t guess what’s going to happen next, or have a hunch or feeling about it, because you can. Furthermore, you can be right in each instance. You just can’t expect to be right. And if you are right, you can’t expect that whatever you did that worked the last time will work again the next time, even though the situation may look sound, or even feel exactly the same. The best traders are in the “now moment” because there is no stress. There is no stress because there is nothing at risk other than the amount of money they are willing to spend on that specific trade. They quantified that risk before getting into the trade. They are then not trying to be right or trying to avoid being wrong; neither are they trying to prove anything. They completely accept what the market is offering them. Either the market tells them their edges aren’t working or it is time to take profits. It doesn’t matter to them what the outcome of the trade will be. According to Douglas, carefree means confident, but not euphoric. When you are in a carefree state of mind, you won’t feel any fear, hesitation, or compulsion to do anything, because you’ve effectively eliminated the potential to define and interpret market information as threatening. To remove the sense of threat, you have to accept the risk completely. When you have accepted the risk, you will be at peace with any outcome. You understand the absolute necessity of the principles of consistent success and, therefore, you never violate them. These beliefs are the seven principles of consistency. Go out there, trade and make some money!